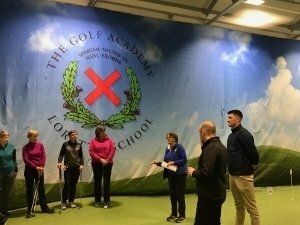 Many thanks to Paul Wardell and Euan Bowden who enthusiastically helped Ladies of ELLCGA with various golf skills at the Loretto Golf Academy on the 26th March. Drills for chipping, pitching, bunker and putting were set out and all the ladies came away with a lot to work on for their personal performance. Paul and Euan are Professionals that teach in East Lothian and are known to many of the ladies. Paul has kindly allowed us to post these skills sheets to remind everyone of the important points he was emphasising. Practice makes perfect, thanks Paul. A thoroughly enjoyable and rewarding evening. Thanks to Gail McKill, Gwen Stewart and Jane McMinn who helped by retrieving hundreds of balls and managing the evening. A great day at Minto Golf Club today where ELLCGA beat The Borders 3 1/2 – 1/2. Thanks to Kay, Dulcie, Gail, Dianne, Sue, Karen, Ann, Alyssa,, Sharon and Mhairi. The course had beautiful views, lots of grass and made it a challenge for all the team. Thank you to the Borders for hosting. 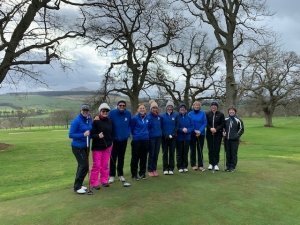 National Club Golfer Top 100 Tour events are running throughout England and Scotland in 2019, these are open to both male and female golfers. The organiser is planning to offer the events, usually £60, at £40 per person to ELLCGA members if booked over the phone and using the code “Scotland”. There are 12 qualifying events, 6 in England, 6 in Scotland with fantastic prizes from Taylormade to be won at each event. The top 3 players from each event will qualify for the Grand Final at Fulford Golf Club where the winner will receive a golf break for two to the 2020 Masters. For more information on the events please visit the website and look at the poster. Ladies the draw for the Hole & Hole 2019 has been made. Can you all please keep to the dates and send your results as soon as possible to kathleeen.lannin@icloud.com so that the sheet can be updated. First round to be played by April 29th. Good luck to all taking part and enjoy the golf. 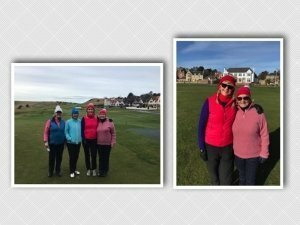 The final of the winter foursomes took place yesterday morning at Gullane number 1. 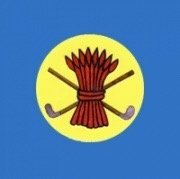 In very windy conditions Liz Millar and Louise Casey won by 4 & 2 on the 16th hole playing against Jan Laing and Wendy Thummamond. Congratulations to Liz and Louise and commiserations to Jan and Wendy. The finalists before setting off at 9.04 and the eventual winners. What a delightful way to spend Saturday afternoon. Good food and great company at Haddington golf course. 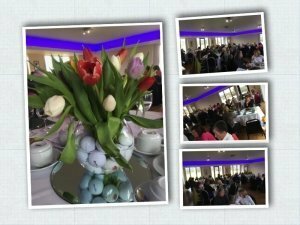 We also had great table decorations and a quiz which involved identifying holes from our East Lothian golf courses, courtesy of our chief organiser Gail McKill. Thanks to all involved in the organisation of today and to the Haddington staff for their hospitality. Thanks to Mary Lou Watkins for the photos.